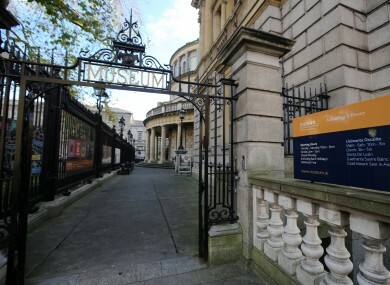 A COMPANY HIRED to deal with work culture problems at the National Museum of Ireland (NMI) wrote to the government to express their shock at the scale of bullying in 2013, a Dáil committee has heard. In our relatively long experience of providing staff care and employee assistance programmes to many different types of organisations, we have never previously encountered, what from our perspective appears to be, a prolonged, systemic, institutionalised bullying of the general staff by senior members of the administrative staff. He said that trade unions representing members had said that they had heard similar reports. A report from 2013 found that some 88% of workers in the museum reported poor moral, he said. A further Work Positive Profile Report carried out in 2016 echoed the previous report. There were 96 respondents to the survey. Almost 80% of staff had worked there for at least 5 years, and 49% of the staff were over 46 years of age. Chairperson Catherine Heaney and director Raghnall Ó Floinn appeared before the committee today to “draw a line under what has been experienced recently”. In her opening statement, Heaney said that the NMI had an “absolute obligation as an employer to maintain confidentiality and respect in terms of all our employees past and present”. This obligation precludes us as an employer from commenting or answering questions in relation to current or ex-employees. When Tóibín brought up specific examples of problematic behaviour at the NMI, Heaney said that they couldn’t comment without giving away the identity of former and current employers. With regard to the allegations of inappropriate sexual behaviour, has it been the policy of the National Museum to leave those individuals in situ? Labour Senator Aodhán Ó Riordáin interrupted to say that he was “extremely uncomfortable” with this line of questioning, and that Tóibín seemed to know more than the rest of the committee. Ó Ríordáin: ”This is the committee to ask the representatives from the National Museum about the current state of play in the museum. The Chairman seems to have a number of very heavily researched questions to fire at these two individuals. “To be honest, if I was in their position I would refuse point blank to answer because it is quite clear that the Chairman is coming from the position of having knowledge from an individual as to how cases were handled or were not handled. These two individuals are trying to run a national institution, they have a lot on their plate. Senator Marie-Louise O’Donnell: Senator Ó Ríordáin is not on his own. We had this massive discussion three or four weeks ago with the Chair. We questioned all of this… It just is that he was not present at that meeting. Ó Ríordáin: Is it the proper forum for such questioning? Tóibín: The reason I asked these questions is that it has come to our knowledge that for a long period of time, back to 2011 there has been reports written by psychotherapists and psychiatrists and a large number of internal reports commissioned by the National Museum itself which shows a significant level of unease and difficulties among staff in the National Museum. “This has happened over a period of at least eight years, that we know about. We have an opportunity to see if we can help fix that issue, to see if we can shine a light on that particular issue to see if we can bring it to the attention of the Department at such a level that the Department will have to deal with it and to give the necessary supports to the Chairman of the Board and the director of the museum to see if we can resolve these issues. The committee then went into private session to discuss the chair’s line of questioning. Heaney said that HR and IR issues were evident in all businesses, great and small: “and I say this not to excuse HR context but I do think it deserves a context”. HR issues have cost the museum and the state, both in terms of HR issues and financially, she admitted. Tóibín said that the costs for reports, legal services, and a firm of psychotherapists’ advice to deal with these issues has cost the State between €1.5 and €1.8 million. A further 7 out of 10 respondents said they felt they required medical help to deal with depression and anxiety, Tóibín said. Having talked to staff, Tóibín said that many felt they “have shattered lives” following issues in the museum. They said that when they did bring complaints forward, they were urged to redefine them as non-complaints. Heaney said that although there were issues to be worked out, there were also some positives in that survey. I want to state that about 93% of staff said they were happy to come to work. That is what I observed. Email “National Museum 'working hard to fix prolonged, systemic bullying of staff' ”. Feedback on “National Museum 'working hard to fix prolonged, systemic bullying of staff' ”.